^ E.F.Keane,S.Johnston,et al. (2015-2-25). 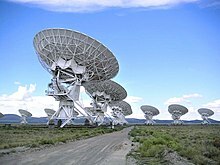 “The host galaxy of a fast radio burst”. Research Letter (Nature) 530: 453-456. doi:10.1038/nature17140. http://www.nature.com/articles/nature17140.epdf?referrer_access_token=JqsA0-T6WzqsG3On5BoBc9RgN0jAjWel9jnR3ZoTv0Om27TH9pZKfCqFr-3qWFR68AkVqdIPlnwDVRmpVSTCmNv_kJ1qz7u1P5tYIY_A3py8kWvq99c5zpSe3aIDDoDyS7VGYfcI5_ayszmluQTA1CG8q7b4BLKSsh3gCi8bokPt0XxEN60-_9xVkJSFF7ma 2015年2月25日閲覧。. 田中春夫. "第 7 章 電波天文学." 電氣學會雜誌 94.11 (1974): 984-988. 石黒正人. "電波天文学の話." テレビジョン 31.11 (1977): 862-869. 水野皓司, 小野昭一. "セプミリ波帯におけるへテロダイン検波技術." 応用物理 46.7 (1977): 734-738.